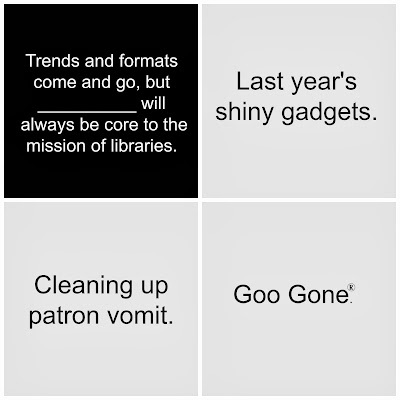 While I hoped to have a full beta Cards Against Librarianship deck ready this week, I don't. I think next week will do it. Cards Against Librarianship: Let's play!